If you itemize deductions on your federal tax return, you may be able to claim a deduction for the personal property taxes you’ve paid. One method that states can use to raise revenue is to charge you a tax on your personal property. 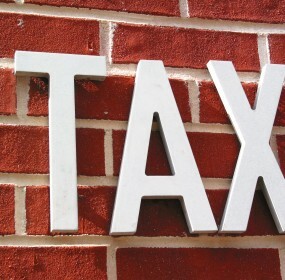 This type of tax is separate, and may be in addition, to the state and local taxes you pay on your real estate. However, if you itemize deductions on your federal return, you may be eligible to claim a deduction for all personal property taxes you pay. Each state will have its own specific form you must fill out to report your personal property tax. To determine whether you are eligible to itemize, simply add up all of your expenses for the year that are eligible for a deduction, such as medical expenses, charitable contributions and mortgage interest payments. If the total is more than the standard deduction you can claim for your filing status, then go ahead and itemize and take a deduction for your personal property tax payments.